Time to get out your red and white, Canada day is near! 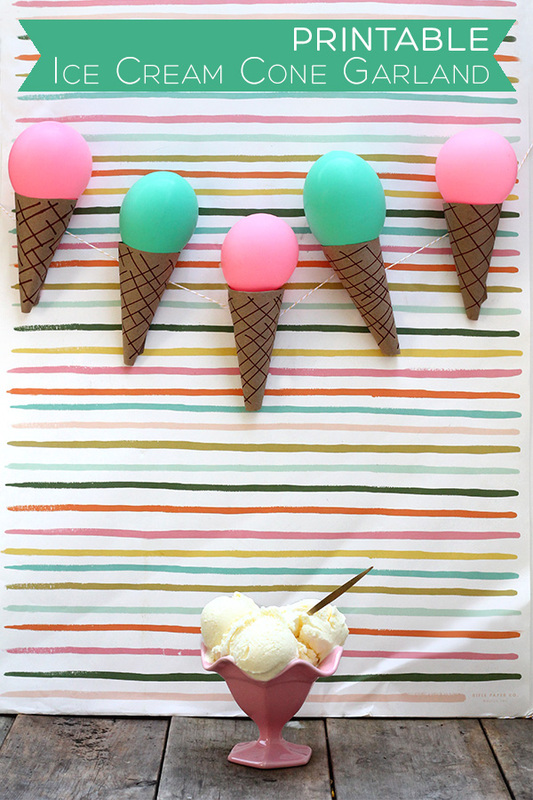 So often I find fantastic printables for the 4th of July that I admire but just can’t use. When I hopped on Confetti Sunshine and saw Sara’s sparkler holders, I knew I had to make a Canadian version. 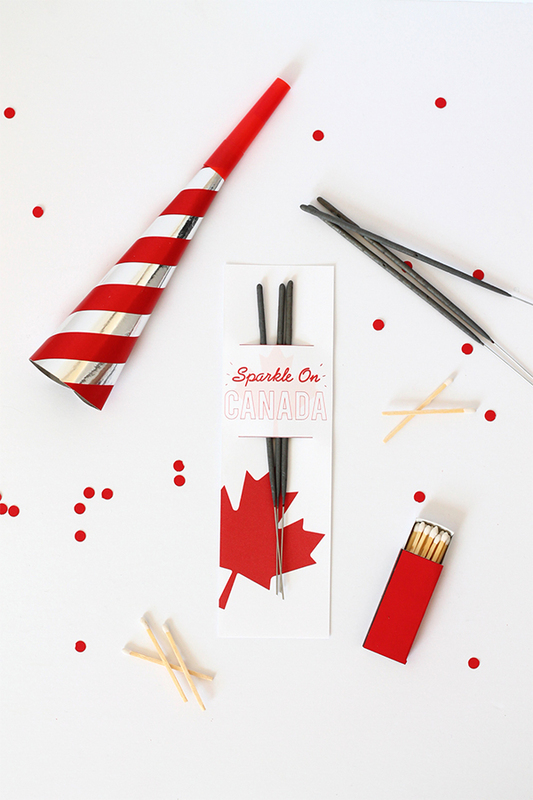 Sparkle on Canada! It’s about time us Canadians had free Canada Day printables don’t you think? And I don’t know about you but I’ll definitely be lighting up these bad boys Tuesday night (yes, Tuesday night, start planning!). When browsing the dollar for sparklers I saw a bag of twizzlers. My thought? 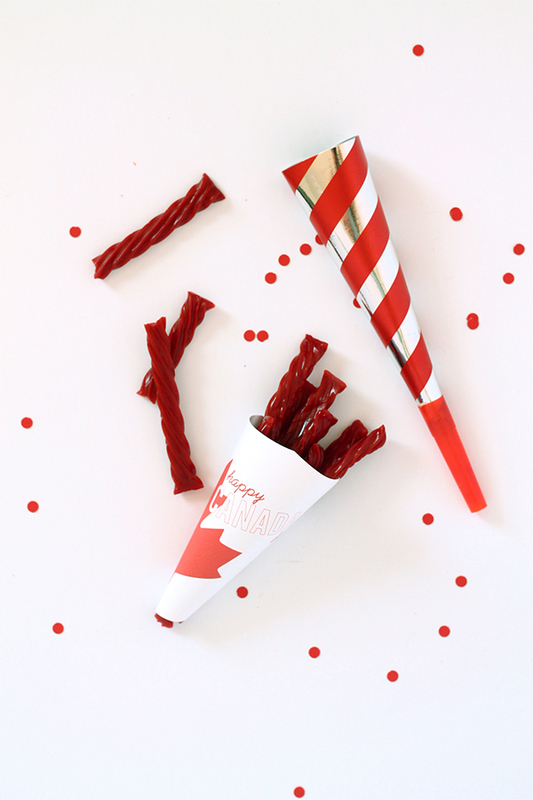 “They’re red, so obviously they’re Canada day appropriate.” So I also created a “Happy Canada Day” printable cone for you to fill with treats. Yummers. 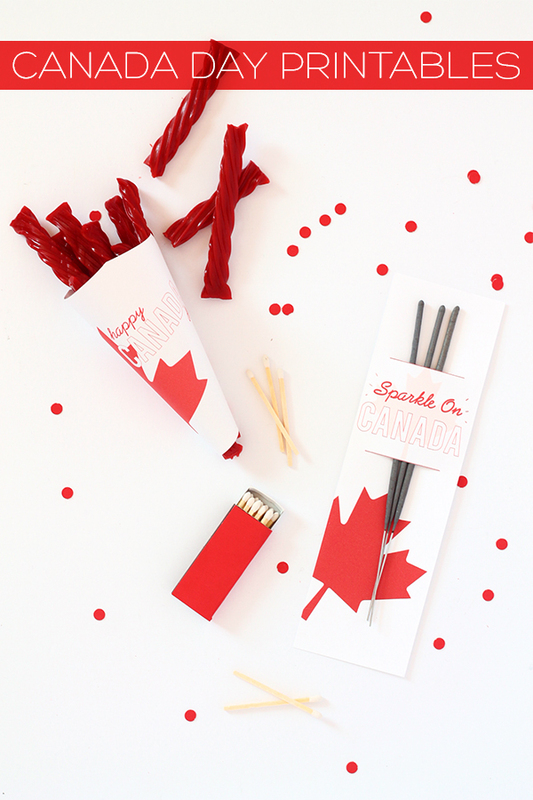 Fire up your printer to make your Canada Day party super patriotic, cute, and fun. Simply click on the links below to download each PDF and print! Download and print white card stock. 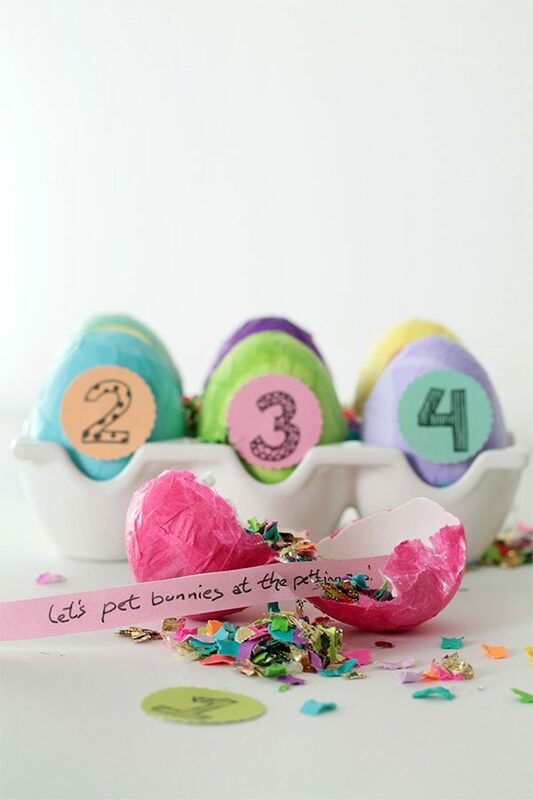 Cut along the guidelines to create three sparkler holders and use an exacto knife to cut slits on the red lines above and below the text. 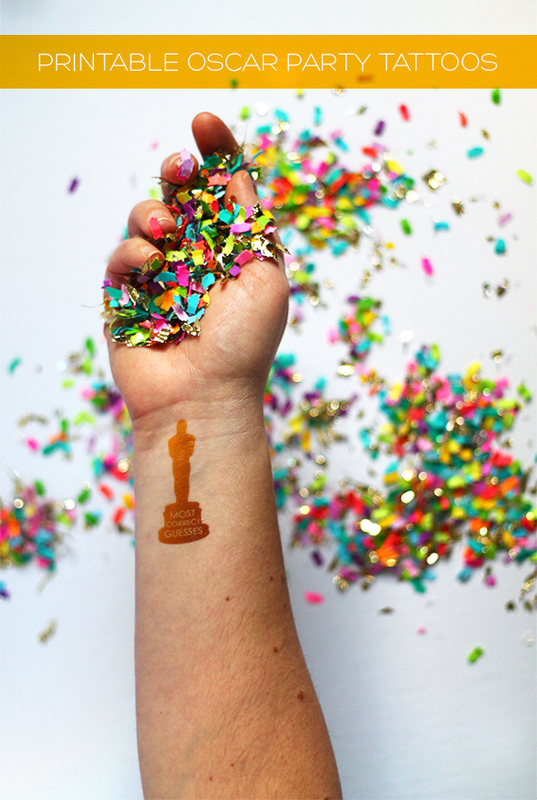 Slip sparklers in the slits and pass out to friends for sparkler fun when the sun goes down. 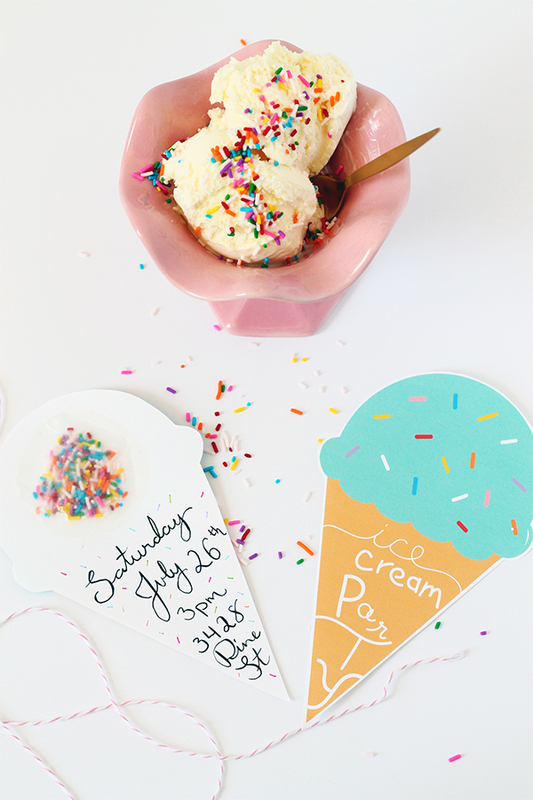 Once downloaded and printed onto white card stock, cut out each cone along the black line. 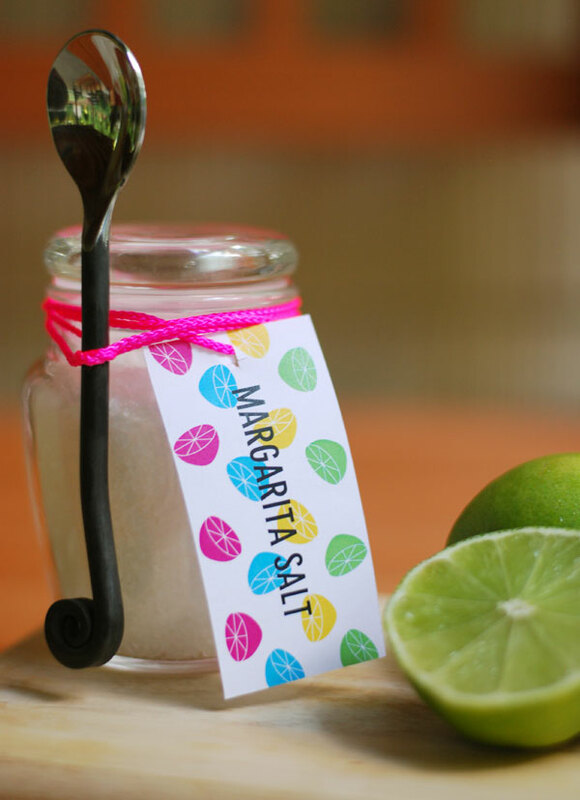 Place a strip of double sided tape on the designated area, roll and seal. Fill with your favourite treats (grab some red ones if you’re feeling super patriotic) and munch away! 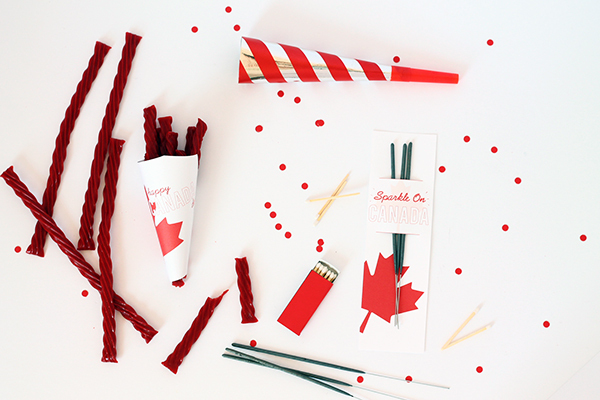 I hope your Canada Day is full of red and white fun amongst your closest friends and family! So fellow Canadian friends, what are you up to this Canada Day? And if you aren’t Canadian, what are your July plans? psst. 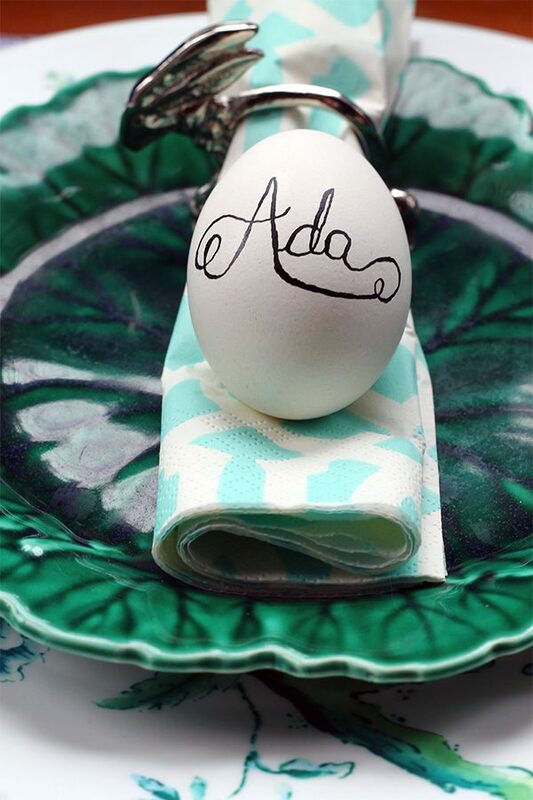 did you enter the $150 Wayfair gift card giveaway? Oh perfect! I hope you guys will have a mini celebration on Tuesday! I love these! What a great idea. Thanks Brooke! I hope you guys will be partying it up! Hey, the Sparler download isn’t working, can you please send it to jodi@jodigilmour.com? Already bought the sparklers!